Welcome to a new challenge at Seize The Birthday! The background is smooshed Distress Ink on mixed media paper, overstamped with the numbers stamp from Tim Holtz Perspective, using Distress Oxides. 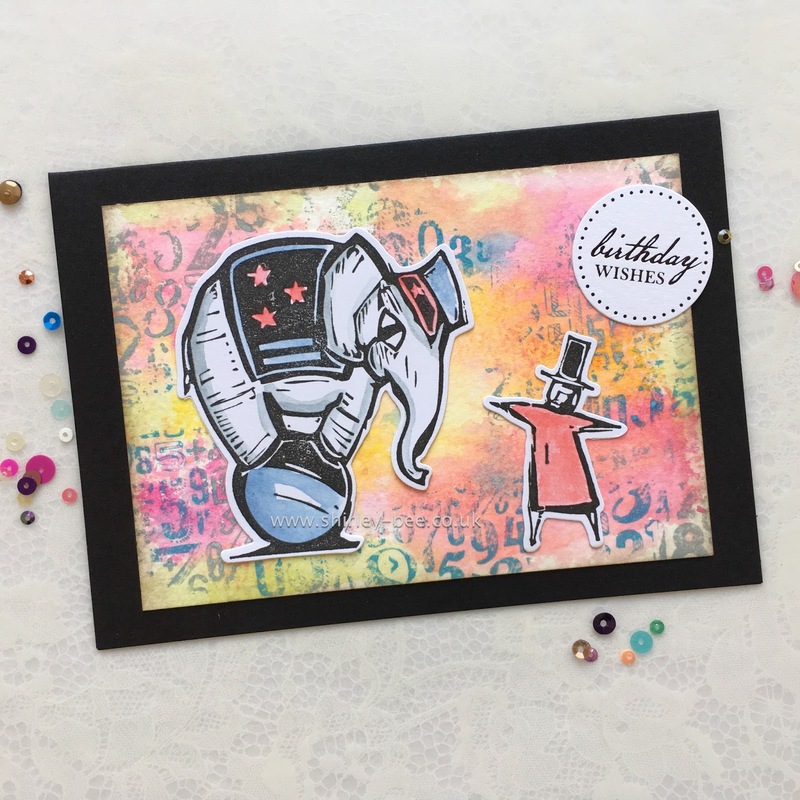 The images are from Sizzix Framelits Big Top by Tim Holtz. Pop on over to the Seize The Birthday blog for some more fabulous inspiration from the design team, and play along with us. Stunning background - totally whimsical and the perfect backdrop for the really cool images! Love the "birthday wishes" disc! Got to get my hands on some of that ink! Love your background and the entire card! Have a wonderful day Shirley! This is so cool! Fabulous background and I love the images you chose. Fabulous background for the cute images. I'm with Nancy, I need to get some of those inks. A fabulous background and a fabulous card, Shirley! Love the circus elephant, now a thing of the past... soon to be retro!